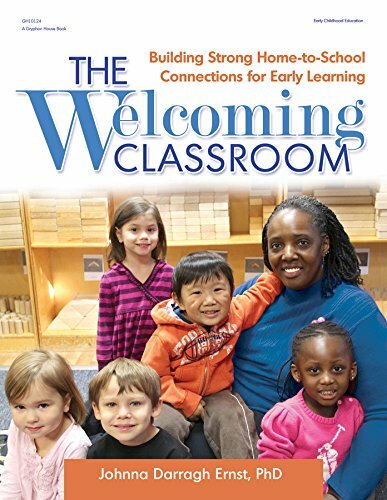 I just started reading this very interesting book, The Welcoming Classroom, by Johnna Darragh Ernst. As you can see from the title, it's all about building strong home / school connections. Given the prevailing climate in BC right now (our province-wide teachers' strike just ended) this book is very apropos. While it's geared towards pre-school teachers, I'm finding there's LOTS in here that's applicable to elementary school. I'm going to review Chapter 1 today and then continue with another chapter each week. The main premise in this chapter is all about building a strong foundation in terms of teacher / parent relationships. The author outlines the reasons for adopting a strengths-based approach, rather than a deficit model. By this she means, "Viewing families and children through a positive lens..." rather than a negative one. For example, if you have a non-English speaking child in your room, instead of thinking, "This kid can't speak English", switch it around and think, "Wow! This child is making great strides at becoming a bilingual speaker." A simple practice, but one that has far-reaching effects; not only does it remove blame, but it shifts one's thinking so that the strengths and talents of a child are highlighted, rather than the perceived shortcomings. According to the author, it's important to recognize and focus on each family's unique strengths and provide support where needed. She suggests you ask yourself "What does this family need to develop and thrive?" 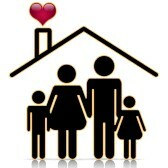 rather than "What is this family missing?" When this simple, but powerful shift in thinking occurs, it creates room for respect, reciprocity and support. "What are the family's concerns, hopes, and plans [for their child]?" Wouldn't this make a GREAT question on a beginning-of-the-year "Let's Get To Know Each Other" survey that many teachers send home? I'd love to hear what YOU do to strengthen the home-school connection! If you're interested in some other professional books I've posted about you can find them HERE. I'm looking forward to many more thoughts from the book. There are so many benefits to putting our best foot forward when it comes to parents. Switching our thinking, like you mentioned, can only help. This book looks fabulous! I often think parents need more tips than I think they do....but it is sometimes hard for me to find a parent mindset, since I have no personal experience. I have come to gut-level understand that the vast majority of parents do the very best for their children that they know how to do. Sometimes I have to revisit this understanding. It brings me to a better perspective and intention in connecting with families. Absolutely! Most people are trying their best! Have not heard of this book but it looks great! Thank you for sharing your thoughts! I look forward to hearing more. This is such an important component of what we do. It sounds like a really interesting take on improving those relationships. Definitely ... it's helping me look at things in a slightly new way.